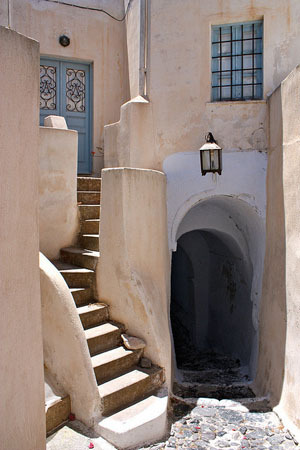 Its name alone (meaning ‘Tower’) makes the visitor travel there - Pyrgos was the capital of the island after Skaros was abandoned in 1800. 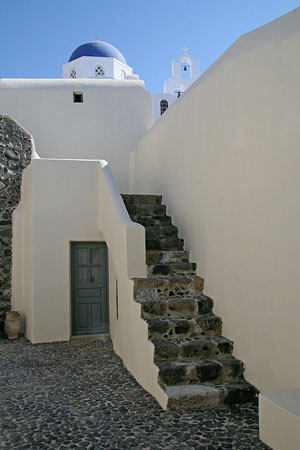 The settlement is built at the top of the hill and its narrow winding streets ascend to the medieval settlement, the castle. 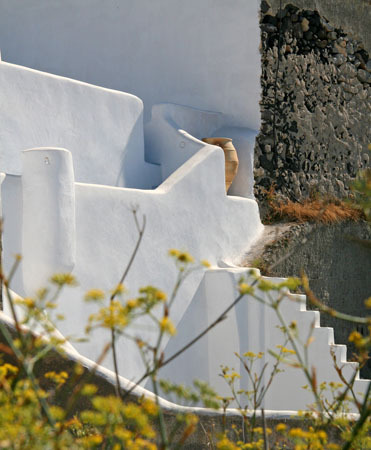 Like in other parts of the island, the inhabitants used to build castles for their protection from attacks. 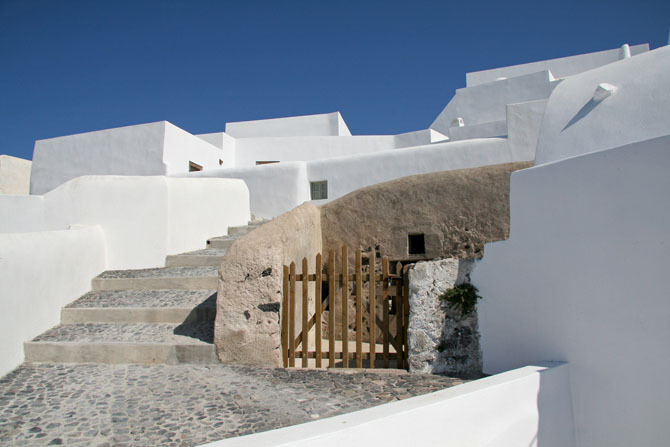 Initially, there was only the fortified settlement and the walls of the houses constituted the walls of the castle, but over the years the settlement was also developed outside the walls. 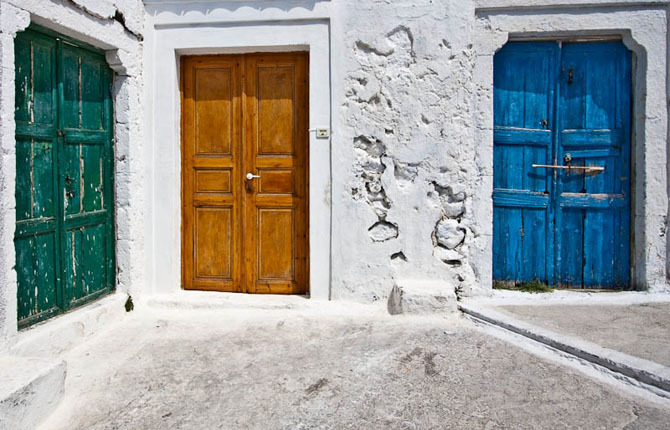 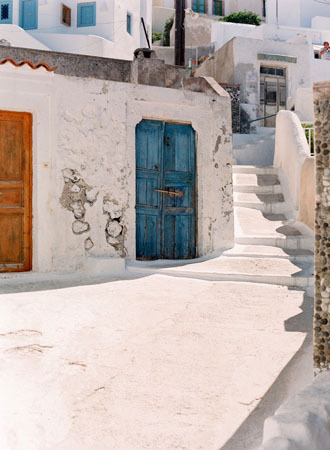 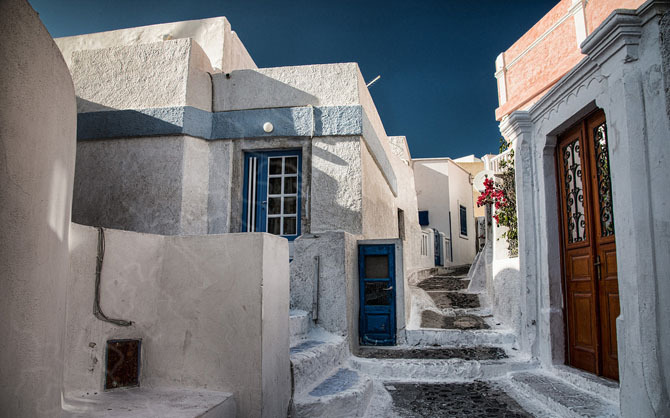 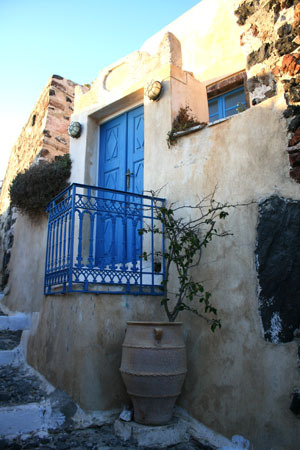 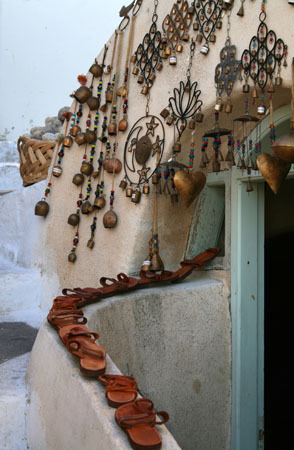 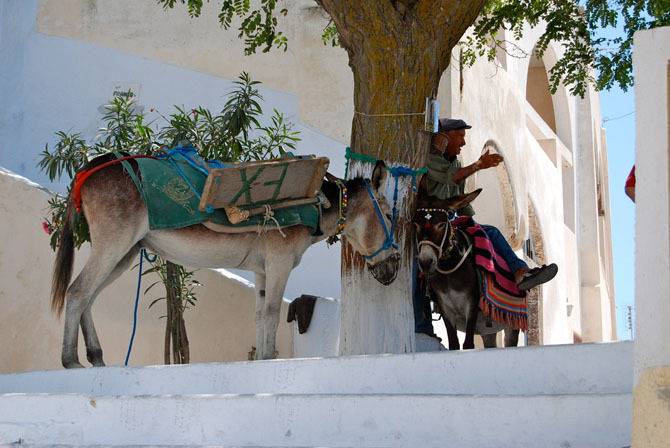 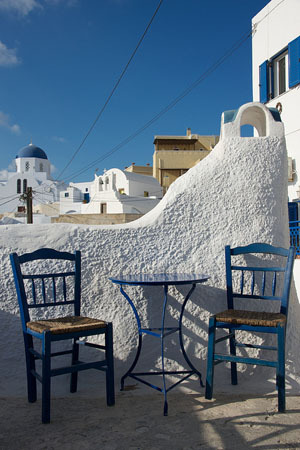 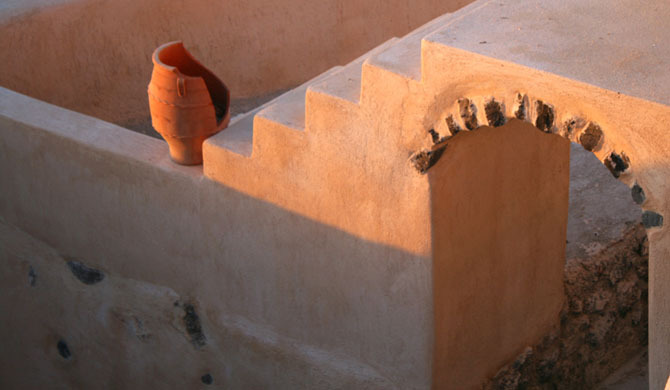 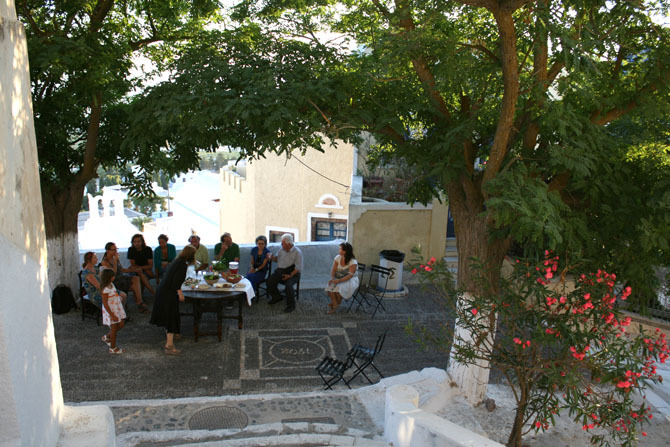 Traditional Cycladic houses, small courtyards with flowers, many churches, all in a village that offers a panoramic view of the entire island of Santorini, and which is built at the slope of Profitis Elias. 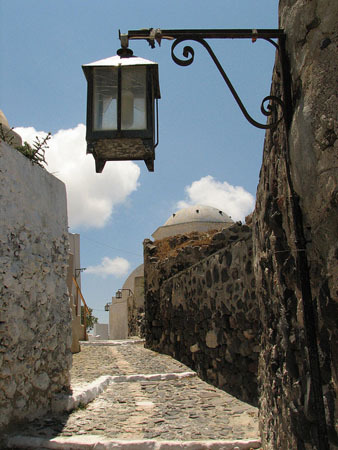 It is worth getting lost in its narrow streets, passing through the small tunnel in the castle and resting while sipping your drink in one of the village cafés that offer a magnificent view of the island. 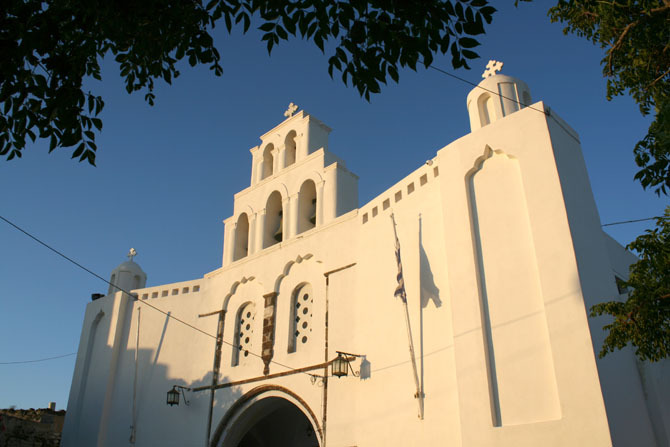 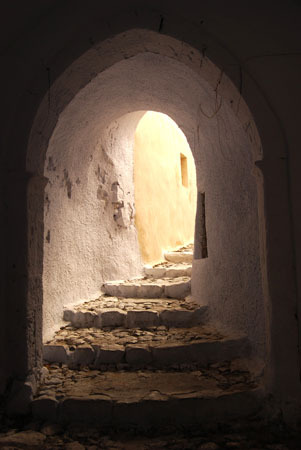 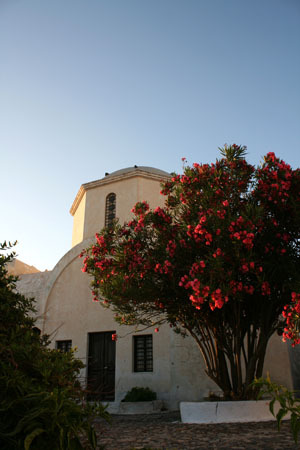 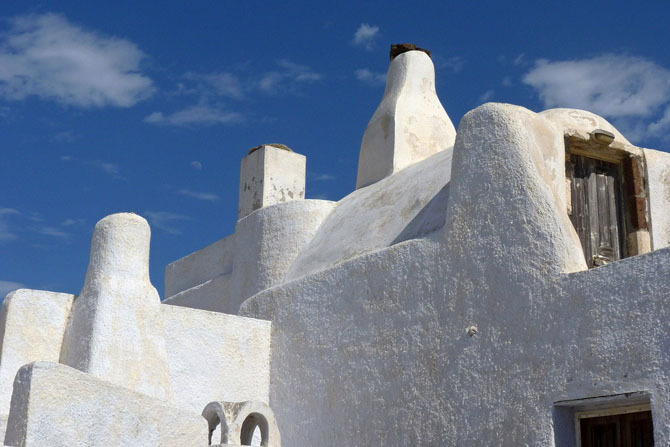 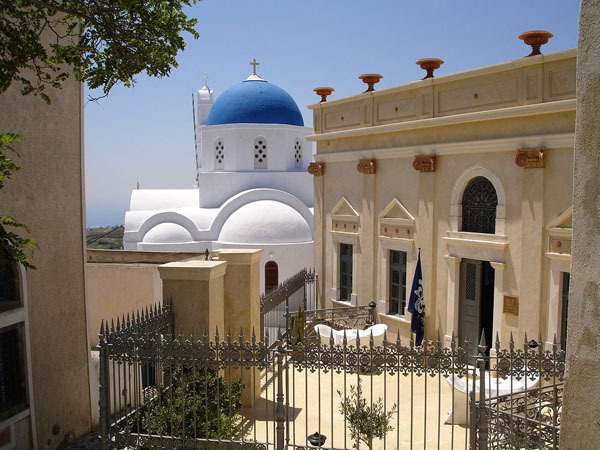 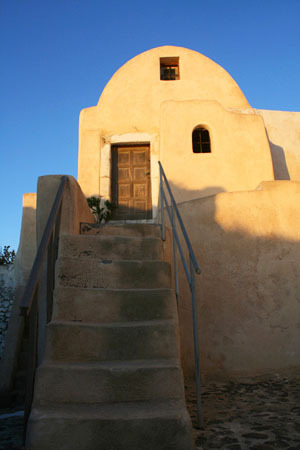 Your visit to Pyrgos can be combined with a visit to the Monastery of Profitis Elias at the top of the mountain. 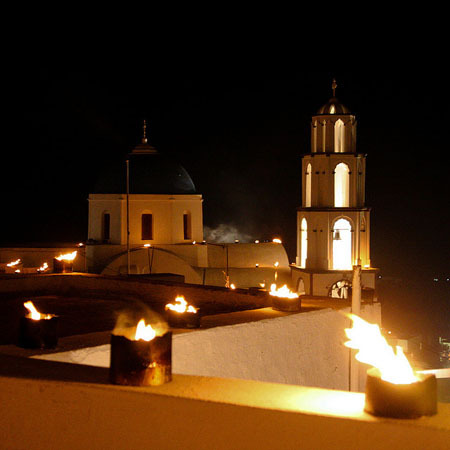 On Good Friday, crowds of people gather at Pyrgos, while the procession of the Epitaph is accompanied by hundreds of fires throughout the village, a sight that is unique in all of Santorini.